There's an idea that's becoming increasingly popular here in Chapel Hill, and it's expressed by one of two bumper stickers. The first is: Ignore Your Rights And They'll Go Away The second is: No, You Can't Have My Rights, I'm Still Using Them These apply equally well to the definition of Open Source software. For quite some time, we've faced opposition from those who want nothing more than to spread ignorance--to tell people it's OK to ignore what rights may or may not convey with the software they buy. They believe that if enough people simply ignore Open Source, it will go away. More recently, we've faced a new contingent--companies that want to define open source for their own purposes. 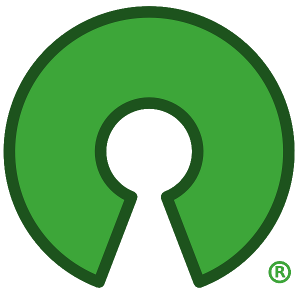 To them, I say "Open Source is not yours to define". Nat Torkington addresses this subject with this blog posting, and I, for one, am happy to be invited to discuss this subject when I'm at OSCON in the summer of 2007. Judging by the comments his posting received, he's not the only one who thinks that it's wrong, not just an offense against the OSI, but at a basic level of intellectual and commercial honesty, to claim an open source kinship when one does not live by open source values. I certainly agree, and look forward to what I'm sure will be many heated discussions about where to draw not only the definitional, but also the descriptive line. Long Live Open Source Development. I agree. People out there need to stop ignoring their rights. I don't think it's that people do not care but rather are just not informed/educated about the real issues out there. I have also found as I'm sure many others have that Open Source is not just limited to software development for which there are many priceless applications available but is also spreading into web design development as well. If you take a quick look around the internet you will find web developers offering their creative talents for free in support of open source design development. A truly great thing to see. Lets keep up the great work. Hawaii Website Designer Aloha Tech Support Hawaii.